For some reason, I thought that lemons were a summer fruit. It made sense – the bright yellow tinge, the zesty flavour, the refreshing taste – all seemed to indicate a summertime appearance. But no. Upon checking my seasonal calendar, it would seem that lemons are just coming into season at the moment (which now makes sense, given that the price per kilo has dropped considerably in the last few days). Sticking with the faux-summer theme, the only appropriate thing to do with the newly-in-season bag of lemons in my fridge was to make some good old-fashioned lemonade. And, as always, Mrs Beeton delivered the perfect recipe. 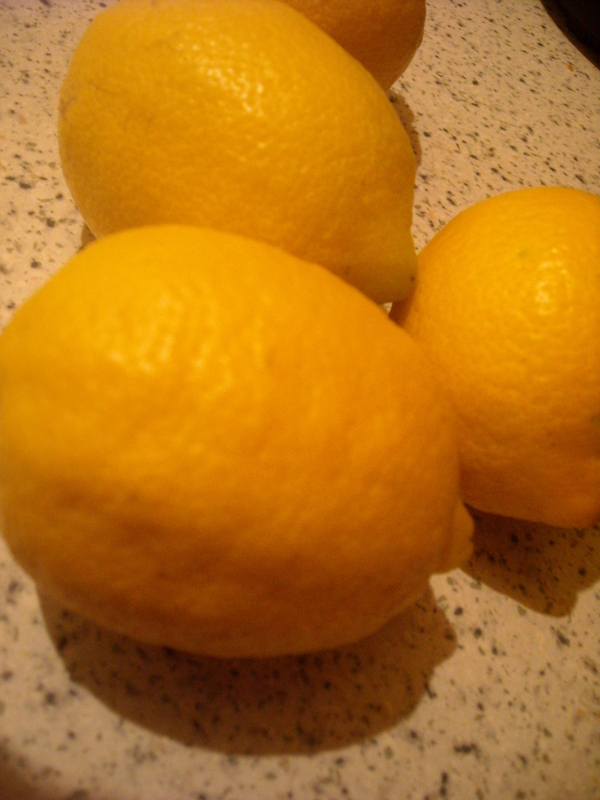 INGREDIENTS—The rind of 2 lemons, the juice of 3 large or 4 small ones, 1 lb. of loaf sugar, 1 quart of boiling water. 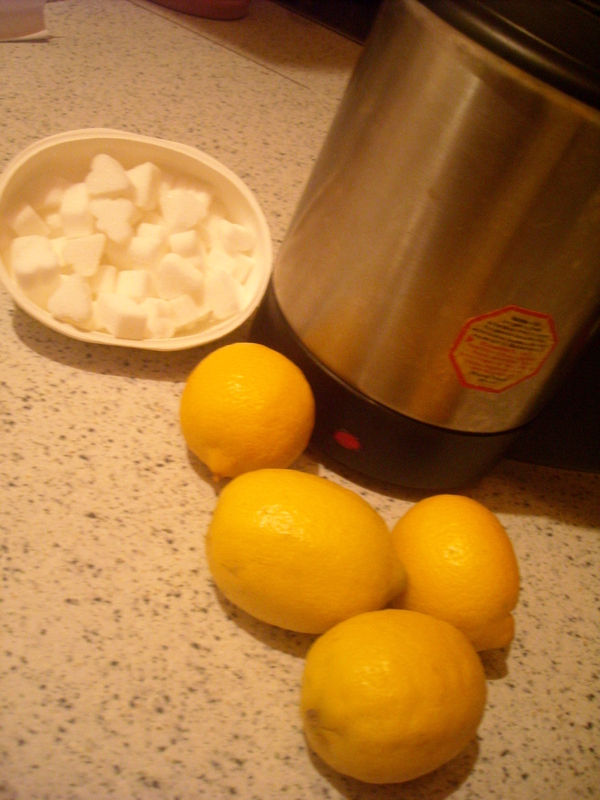 Mode.—Rub some of the sugar, in lumps, on 2 of the lemons until they have imbibed all the oil from them, and put it with the remainder of the sugar into a jug; add the lemon-juice (but no pips), and pour over the whole a quart of boiling water. When the sugar is dissolved, strain the lemonade through a fine sieve or piece of muslin, and, when cool, it will be ready for use. 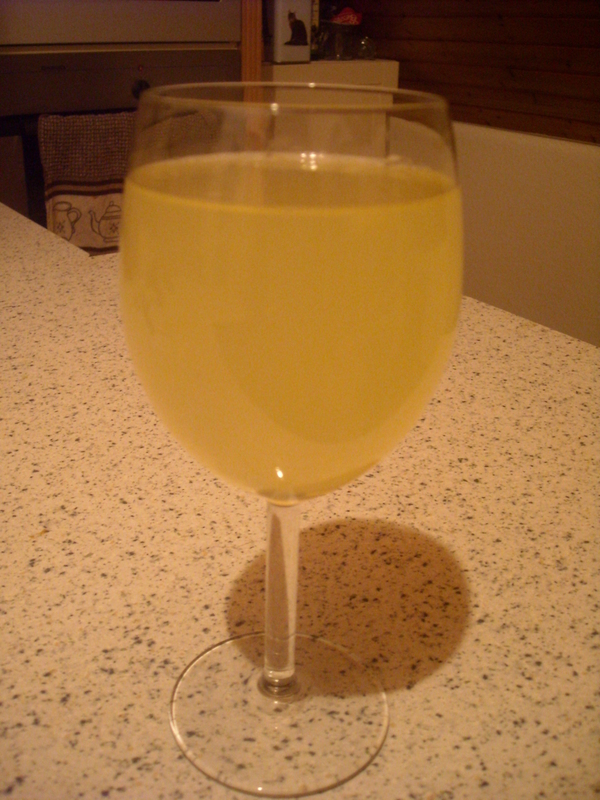 The lemonade will be much improved by having the white of an egg beaten up in it; a little sherry mixed with it, also, makes this beverage much nicer. This took me inside of 15 minutes to prepare, which at 7pm when I’m knackered from my day and yet to prepare dinner, is no bad thing. 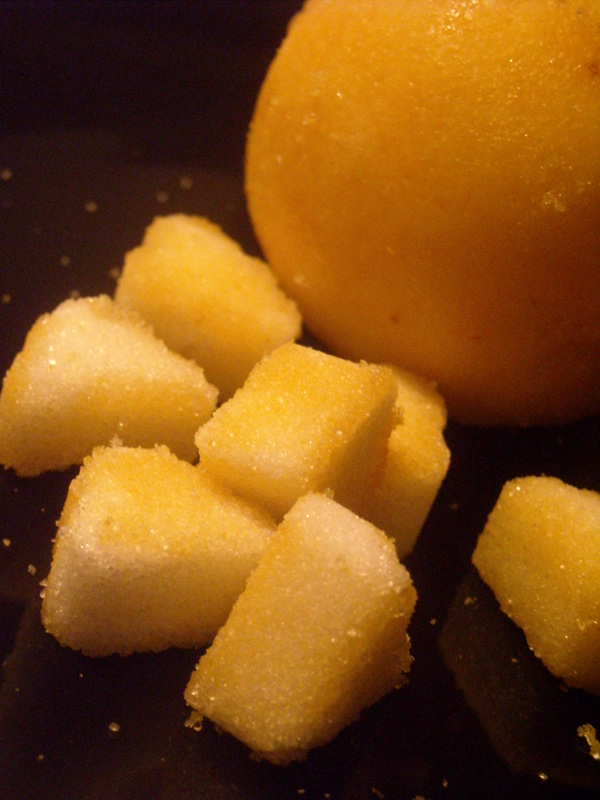 The scent of fresh lemon oil as I rubbed the skin with sugar cubes was, I have to say, absolutely divine. I can’t believe I’ve never noticed the effect of real, fresh lemon oil before – the kitchen smelled so exotic. And oh-so-summery. I sloshed some in a glass and popped it the freezer to chill in a hurry (I’m pathetic when it comes to being patient about surprises and other looking-forward-to events sometimes). In 35 minutes, I took it out and trotted happily off to the living room with my brightest, sunniest smile. Domestic goddess, here she comes, thought I. “Oh no,” said my crestfallen boyfriend when I cooed that I had something special for him (with no lingerie in sight). This was clearly some sort of encouragement in ”man speak”. For a sugar-mad guy – he has 3 heaped tablespoons of sugar in his coffee (”But they’re big cups!” he cries defensively, whenever I express my absolute disgust, horror and fear that he’ll keel over or develop diabetes before he’s 40) – he was the first to suggest that it was a bit on the sweet-side. Given that I had indigestion for a good half-hour afterwards, I’d have to agree. It was mighty fine and tasty, but the semi-thick syrup could do with being watered down a little. Mixed with some water and schnapps, this could be a fantastic drink in the summer. Mixed water and schnapps, this would be a perfect summer tipple. This entry was posted on January 25, 2010 at 10:01 pm and is filed under food. You can follow any responses to this entry through the RSS 2.0 feed. You can leave a response, or trackback from your own site.